What Do We Make of the Western Rite? When I first stepped into a Western Rite parish, I nearly walked out in the middle of the service. 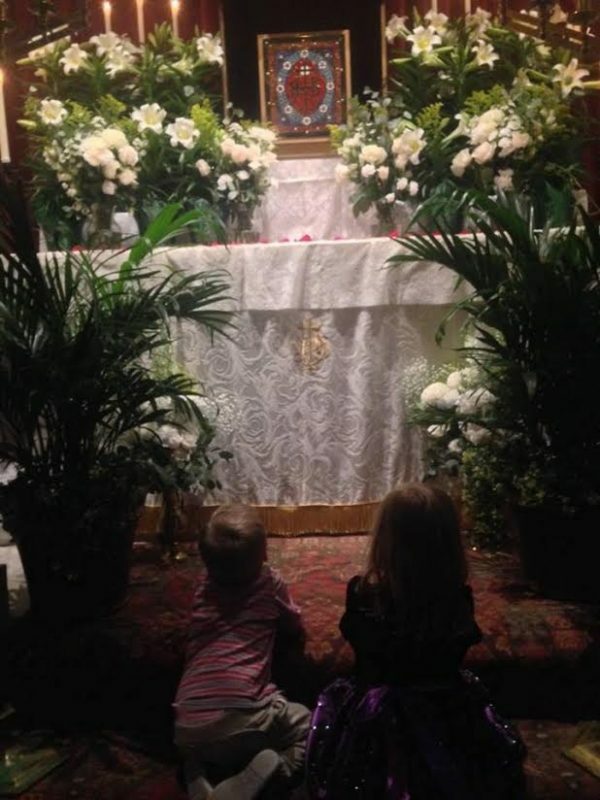 “What is this?” “It is so western!” “This can’t be Orthodox…” These were the thoughts that filled my mind as I watched the community chant in Gregorian tones and genuflect in front of the altar. I had been chrismated into the Church several years and had only experienced Orthodoxy in its eastern expression. Though I had heard a few references to “Western-Riters,” it was rarely in a positive light. Essentially, the thought of anything western struck me as a bad idea, and like so many people, I never took the time to examine these assumptions in the light of our Church’s history and theology. A month before walking into St. Patrick’s Western Rite mission in Bealeton, VA, I had just gotten off the boat (so to speak) from a long stay in Greece. I had been living in a monastery on Mt. Olympus, steeped in all the majesty and mysticism of a Greek monastery. 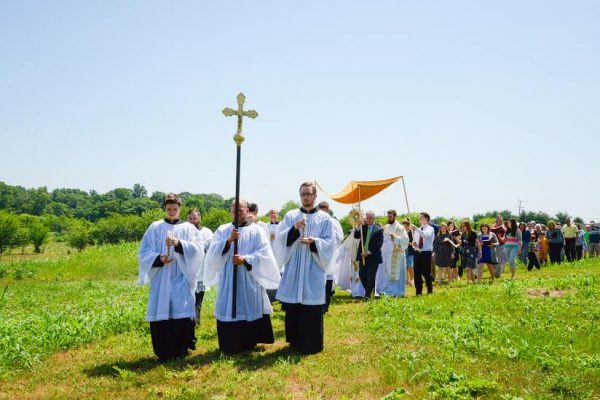 In the truest sense, it was a bastion of Byzantine culture, art and spirituality, and in more ways than one, quite different than this little Western Rite parish in Virginia. So you can imagine the jolt of surprise I had when I found myself in an Orthodox Church using the Liturgy of St. Gregory, singing hymns with four-part harmony, and tossing in a few Latin phrases here and there. This was not the only shock I had. Despite the outward difference between the two rites, the spirit remained the same. Somehow, in this crowd of Virginians, there was the same soul, the same heartbeat, that I encountered high up on Mt. Olympus. What is the Western Rite? Is it legitimate? Is it important in America? These are the questions I had to work through in my own personal journey and I want to share the answers I have found with you in this article. I’ve witnessed this rite raise a number of eyebrows. It inspires hope and joy in some, rejection and sarcasm in others, and certainly, for all, a lot of questions. Today, I am a priest of a Western Rite parish and have found a deep home in this rite, as have so many others. But it was a long road before I came to this realization. Western Orthodoxy forced me to make a thorough search through history, theology, and especially my own feelings and biases. In the end, coming to terms with the Western Rite has given me a much more complete understanding of what is the Orthodox Church and how I am willing to allow it to shape and transform my life. What is the Western Rite and is it legitimate? 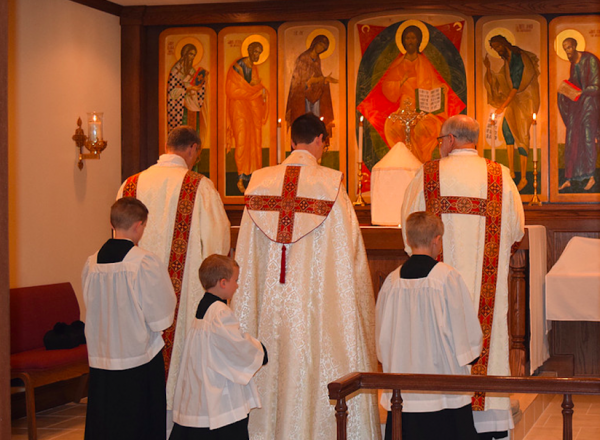 The Western Rite is a liturgical tradition in the Church, which lives out the fullness of our Orthodox faith, in all our beliefs, dogmas, and spirituality. Since the first century, Orthodoxy has thrived in different cultures with different rites. The Western Rite is the pure expression of Orthodoxy as it has been passed down to us in Rome and Western Europe. 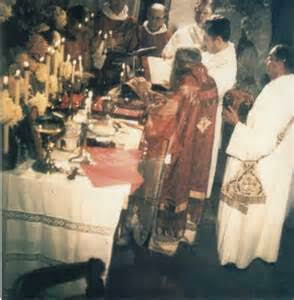 For a number of reasons, many Orthodox believers have asked questions about the legitimacy of this particular rite. It is worthwhile taking time to address these carefully. Though this is only a start, I hope to answer a few questions and critiques below. The Western Rite has grown slowly but steadily, and has especially flourished in the last couple of decades. It has been blessed and promoted by Sts. John Maximovitch, Tikhon of Moscow, Philaret of Moscow, Raphael of Brooklyn, and Nicholas of Japan. It has been approved of and embraced by modern patriarchs in Constantinople, Moscow, Antioch, and Romania, as well as local church hierarchs, such as Metropolitans Philip Saliba and Anthony Bashir, of recent repose. It has further been supported by big names in theological circles, such as Vladimir Lossky, Alexander Schmemann, Metropolitan Anthony Bloom, and many more. Meanwhile, in some circles, the Western Rite is still a heated topic. To borrow the words of an anonymous seminarian from St. Tikhon’s seminary, “Many Orthodox Christians of Western ancestry find within it a home, an answer to their deepest longings for a “rebaptism” of Western Christianity, and an opportunity to draw Western Christians back into the fold of the True Church. Others see the Western Rite as something foreign, misleading, and dangerous. These see the Western Rite as an innovation, and even (possibly) heretical.” His words end with the pithy conclusion: “Let’s call a spade a spade.” With all this in mind, how can we respond? Orthodoxy: Is it Eastern, Western, or both? 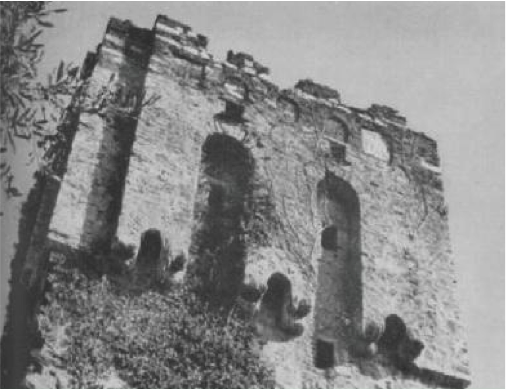 In the late 10th century, the Monastery of Almafians was founded on Mount Athos. This monastery, which was in the highest standing on the Holy Mountain, used the Roman Mass according to St. Gregory the Great, lived by the rule of St. Benedict, and prayed in Latin. They remained there for around 300 years (until the late 14th century) in harmonious communion with their other brother Athonites. According to St. Athanius’ Vita, many other monastic communities from Italy, also using the Western Rite, thrived on Mt. Athos during this period and produced a number of saints. Remains from the Monastery of Almafians, an Orthodox Benedictine Monastery. This was the attitude of our Fathers and we Orthodox would do well to remember it. Sts. 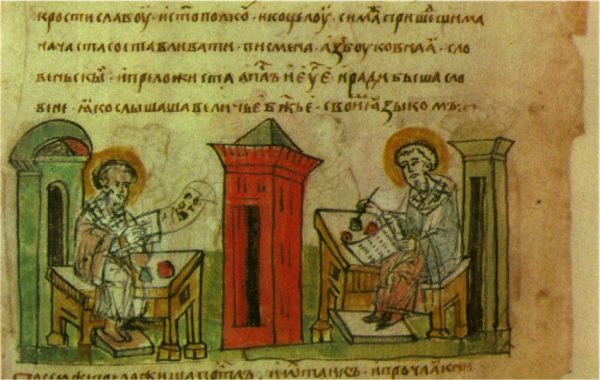 Cyril and Methodius shed further light on the traditional Orthodox attitude about the Western Rite. In the 9th century, they sought authority for their missionary work in Eastern Europe from the Pope of Rome. They spread the Orthodox faith using both the Eastern Rite in Greek and the Western Rite in Latin. Sts. Cyril and Methodius died as Roman clerics, and in all of their writings, they never once expressed any problem with their bi-ritualism. For these saints, the Western Rite was an essential part of our One, Holy, Apostolic and Catholic Church. The western mass of St. Gregory has produced hundreds of Orthodox Christian saints, including Sts. Benedict, Patrick, Columba, Martin of Tours, Leo the Great, Augustine, and on and on. It is a fact, beyond any questioning, that for the majority of the life of Orthodox Christianity, the liturgies, theologies, and practices of Western Europe have been an integral expression of the Church. Since the fall of Constantinople, much of the Orthodox Church has been limited to one liturgy, that of St. John Chrysostom. This phenomenon, nonetheless, was utterly foreign to all of the Church Fathers. 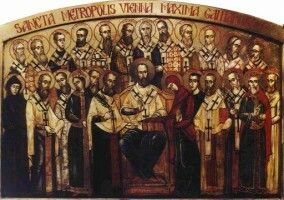 The true spirit of our Church, and the witness of the Apostles, must be understood in this way: unity, not uniformity. Orthodox saints in the western whose spiritual life was grounded in the Liturgy of St. Gregory of Rome. The Western Rite has a rich history in modern times, and especially in our recent century. In the 18th and 19th centuries, long and heartfelt dialogues took place between Christians in western nations and Orthodox hierarchs. These dialogues finally bore fruit in the 20th centuries, when a number of Western Rite parishes were brought into communion with the Orthodox Church. The largest, initial groups were in Poland, Czechoslovakia, and France (where St. John of San Francisco was a key contributor and avid supporter). Finally, with the direction of Sts. John, Tikhon, and Raphael, and that of many hierarchs, the Western Rite that we know today has taken root in our American soil. Here, a host of churches worship God and receive the sacraments with the western traditions that have been passed down in since the times of Apostle Peter. Is the Western Rite liturgy fully Orthodox? Manuscripts still survive from the 6th century and they show the same prayers, the same service, that we Orthodox use in the 21st century. There is no question about the authenticity of this rite. To critique the western liturgy boils down to one thing: critiquing the authority of the Holy Spirit as it has guided the Church throughout time. Fr. Connely answers this well. The Liturgy of St. Gregory may indeed look strange to many Orthodox Christians. Why is this? To a great extent, it looks “odd” because of its ancientness. In many ways, the differences between Eastern and Western Rites stem from more recent changes that were made in the Liturgy of St. John Chrysostom. In essence, theologically and spiritually, the two liturgies are the same, and this spirit is merely expressed with a different cultural flavor. It is important that Eastern Orthodox Christians respect the Western Liturgy, which has remained relatively unchanged over the last millennium. It was certainly not strange to the Church Fathers for over a thousand years. Isn’t the west corrupt? Is there really anything worth redeeming? The liturgy of the Roman Catholic Church used up until Vatican II (that is, the religious ceremonies, not the theology and practice), had been kept pure and authentic since apostolic times. This is the liturgy of the apostles and the Church Fathers. There are enough reasons to embrace one’s Orthodoxy without inventing straw men of the west. Though so much in the west has fallen, much of it is still pure and inspired. Sadly, we live in a secular age when so many of the remnants of western Orthodoxy are being tossed out. Therefore, it is all the more urgent that we Orthodox rescue whatever is good, whatever is pure, whatever is beautiful in the culture of our fellow Americans. The Western Rite belongs to the Orthodox Church, and it always has since the days of St. Peter. It is our responsibility to protect and nurture what God has given us. But doesn’t the Western Rite incorporate non-Orthodox elements? This is true, and this is how Orthodoxy has always worked. The Church Fathers borrowed theological terms (like hypostasis) from pagan philosophy. Many of our well-loved clerical clothes have their origin in Islamic nations. Four-part harmony, stain glass windows, clerical collars, and the Julian Calendar are all taken from non-Orthodox Christians. The widely read book, “Unseen Warfare,” which has been embraced and promoted by Orthodox leaders, including St. Nicodemus of the Holy Mountain and St. Theophan the Recluse, was written by a Roman Catholic mystic in the 16th century. The Church scrutinized the work and found its contents to be thoroughly inspired and Orthodox. When Orthodoxy spread in Alaska, our Church blessed Native Alaskans to continue some of their pagan traditions, such as the use of “spirit houses” and smudging ceremonies. It is ironic that we Orthodox boast in our ability to receive pagan traditions into the Church, while hesitating to receive western Christian traditions. At these moments it is important to examine our own personal biases, and to quickly align them to the Church. Is the Western Rite divisive? Some Orthodox in America have suggested that the Western Rite might be divisive. Our Church here is already fragmented. Doesn’t the Western Rite add to this fragmentation? Isn’t it one more difference in the midst of so much confusion? If one looks hard enough, one could probably find times when the Western Rite has raised issues of unity among parishes. But if we are honest, we will see that these instances do not have anything to do with the rite itself. The same problem exists between Greeks and Russians, cradle and converts, different jurisdictions, and so forth. These divisions stem from one source – our enemy below. We must ask ourselves: Are our objections based on fact or pride? Is our understanding of the Church based on the witness of the Church Fathers and saints, or to personal biases and cultural taste? We Orthodox Christians have a beautiful and diverse heritage. It remains up to us to embrace it. Is the Western Rite important in America? In 1961, Metropolitan Anthony Bashir explained that the Western Rite is important for two fundamental reasons. It offers an invaluable gift to both non-Orthodox Christians in the west and to Orthodox Christians from the east. First, it provides a home to western Christians who desire pure and authentic Christianity. The eastern ‘flavor’ of Orthodoxy has been embraced by many western Christians of our times. Nevertheless, it has turned away many more, due to its foreignness. Here in the west, spirituality and religion have been expressed in our own set of cultural symbols, musical tones, and language for hundreds and hundreds of years. This is how we think and breathe. 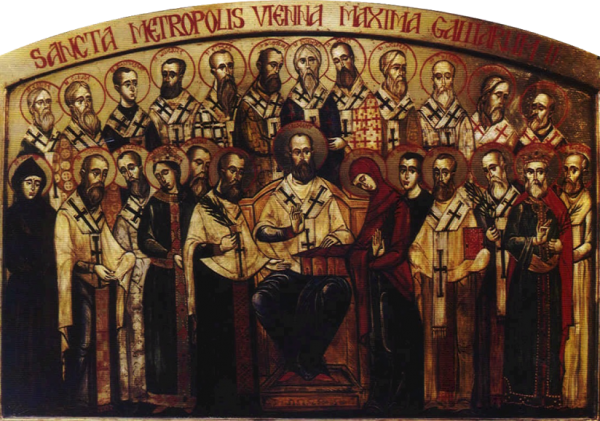 If so many saints, hierarchs, and theologians are right that the Western Rite is 100% Orthodox, then it is a tragedy that any have been discouraged from joining the Church simply because they were unable to give up their culture. The Western Rite offers a home for those who love those western traditions which were inspired by the Holy Spirit and offer a path to salvation. I mentioned earlier that I was shocked to experience the same Orthodox spirit in Bealeton, VA, as I had witnessed in Greece. I have been similarly shocked by this discovery in every Western Rite parish that I’ve been a part of. What explains this? The Western Rite has a way of attracting the ordinary American Joe, and allowing that Joe to draw towards God in a way that is natural and organic. In Greece, the churches were full of ordinary people, worshipping in the music and cultural symbols of their land. For them, their religious music, language, and culture was not exotic or foreign in any way – it was simply familiar and homey. The Western Rite allows westerners to worship God in their own skin. Second, the Western Rite has something to offer to the Orthodox Church as a whole, and especially to those Orthodox who live in the west but share a heritage in Eastern European and Middle-Eastern cultures. It gives us a stronger appreciation for what it means to be Orthodox. Being Orthodox has nothing to do with being Greek, Russian, Arabic, or “Eastern.” The west was thoroughly Orthodox for well over a millennium and still preserves many traditions intact and as Orthodox as any other. If the Western Rite has one thing to offer us Orthodox Christians it is this, Orthodoxy is much deeper, much richer, much more beautiful than any mere culture. It is the presence of God on earth, as experienced and expressed by people of diverse cultures and ethnicities. Today, the Western Rite vicariate continues the legacy of Apostle Peter, St. Gregory the Great, Sts. Cyril and Methodius, St. John Maximovitch and St. Tikhon, Enlightener of America. Among so many missionary endeavors in America, this rite has successfully brought the pure Orthodox faith to many men and women who seek God in their hearts. The vicariate is blessed to continue its vision “to work towards the reunion of separated Western Christians with the fullness of Orthodoxy, to witness to the Catholicity of the Orthodox Faith, and to enrich the Church by the restoration of its ancient and venerable Western heritage.” May God give us the strength and fervor necessary to serve Him and build the Kingdom here on earth in whatever culture He plants us! Anonymous Seminarian (2016). “In Defense of Western Rite Orthodoxy. provoslavie.ru. Turner, Alexander (1962). “The Western Rite: Its Fascinating Past and its Promising Future”, The Word, Vol. 6, No. 4. p. 5. Schmemann. (1958) “Notes and Comments: The Western Rite.” St. Vladimir’s Theological Quarterly, Vol. 2, No. 4, pp. 37-38. Clapsis (2014). “Tradition: An Orthodox-Ecumenical View.” Unpublished Notes. p.26.